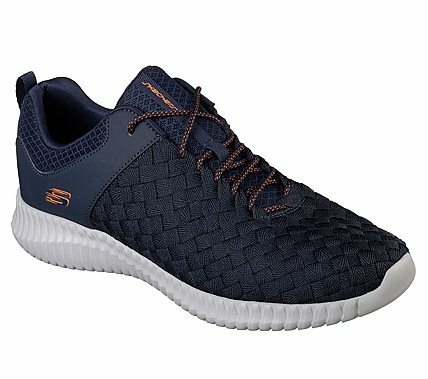 Add more unique texture and amazing flexible comfort to your look with the SKECHERS Elite Flex - Belser shoe. Unique woven web fabric, nubuck leather and mesh fabric upper in a lace up sporty comfort walking and training sneaker with interwoven designs. Air Cooled Memory Foam insole, highly flexible comfort midsole.